As a new offering for people who cannot afford to spend 5 or 6 consecutive hours in a classroom, we have partnered with the premier OnLine LTC course provider. You can take this 4 hour course On Line at your own pace. When you complete the online course you will receive your LTC101 form and you can schedule your private range time for the LTC shooting test. Click below to register or learn more and see a sample of the online License to Carry course. When you have completed your online LTC Class and have your LTC101 form in hand, let us schedule your private shooting test. Cost for the test is $40 plus range fee. You will need to bring your handgun and 50 rounds of ammunition along with eye and ear protection, and your LTC101 form. Please note that you need to be safe and proficient with a handgun before taking this test. Let us know your preferred date and time. Today at the Range at Austin, Texas Governor Greg Abbott signed SB16, legislation to drastically lower the fee to the state for the License to Carry (LTC) from $140 to $40. The largest amount any Texan will pay for their license as of September 1st will be $40. Also effective September 1, 2017, for the License to Carry shooting portion of the LTC class, students may now qualify with a .22 caliber handgun. While we dont particularly agree with this change, it is the law and we will allow use of a .22 caliber handgun for the test. For over 20 years Texas has had one of the most expensive handgun licenses in the country. The passage of SB 16 makes our license one of the least costly. The 5 year License to Carry will now be the equivalent of $8 a year. Starting January 1, 2016 Texas will allow registered license holders to open carry in public. Because the law no longer requires your firearms to be concealed, Texas changed the licensing name from CHL (Concealed Handgun License) to LTC (License to Carry). Current CHL holders are now licensed to carry in the open IN TEXAS. Please be sure to wear a retention holster. I want to take a Texas LTC (License to Carry) class to learn to shoot better. Will that teach me to shoot? The Texas LTC class is a very good class but it does not teach shooting. It teaches Texas law as relates to concealed carry. 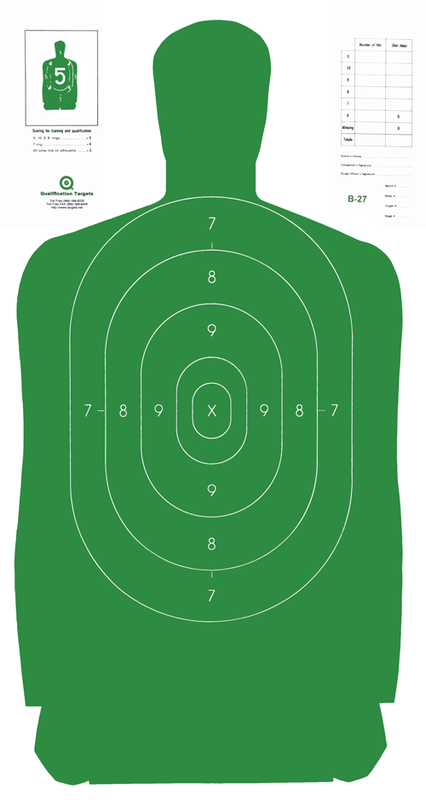 You need a basic knowledge of your handgun to qualify on the range, shooting center of mass a total of 50 rounds at a B27 target from 9 feet, 21 feet, and 45 feet. If you want to learn to shoot, we recommend "Pistol 101" or the Basic Pistol Shooting class. You can click HERE to learn about our Pistol 101 Classes. Can I take the License to Carry class online or do I need to spend all day in a classroom? Texas now allows and has approved a couple of online LTC Classes. (be careful not all who claim they are approved by Texas are valid). We have partnered with the premier online class. After you complete the online class you can schedule your required shooting test. This is NEW to Texas this year (2018) and is a great solution. What are the steps required to obtain a Texas License to Carry a Handgun (LTC)? Learn to shoot a handgun. You must be safe and proficient BEFORE your class. What type of class/training is required to obtain a Texas License to Carry a Handgun (LTC)? What are the eligibility requirements to obtain a Texas LTC? Where can I find the Texas Laws for the Texas LTC Holder? This link is the Texas code governing the license to carry holder and regulations. What is the shooting test like for the Texas LTC Class? To qualify for a Texas License to Carry the following range qualifications must be met. A Total of 50 rounds will be fired during the course of the qualification test. A score of 70%, or 175 points of a possible 250, is required to pass. The target used is a B-27 which is a human-shaped silhouette target measuring 45 by 24 inches. All shooting is from the ready position, which means the gun is already in your hands and aimed in. No holster shooting or shooting from concealed is required. Your handgun must be .22 caliber or larger. A score of 70%, or 175 points of a possible 250, is required to pass. 5 Points for each shot within the 8 ring, 4 points for each shot within the 7 ring, 3 points for each shot within the colored silhouette, but outside the 7 ring, no points for shots outside the silhouette. For those interested in privacy and discretion, we offer an instructor led private LTC class. This class is typically given to a couple or small family. We allow up to 4 people in the private class. We can teach this class at your home, office, or local gun range. This is a 6 hour class and includes your shooting test. Cost for this class is $500. As a new offering for people who cannot afford to spend 6 consecutive hours in a classroom, we have partnered with the premier OnLine LTC course provider. You can take the course On Line at your own pace. When you complete the online course, you can schedule your private range time for the shooting test. Click below to register or learn more and see a sample of the course.